The section will be flagged off by Prime Minister Narendra Modi on Monday through remote control. “Currently, 25.8 km of metro lines are operational across Haryana. After the opening of this section, the total length of metro kilometres in Haryana will become 29 km. All trains running on this section are manufactured in India,” the Delhi Metro Rail Corporation (DMRC) said in a statement. “The Escorts Mujesar–Raja Nahar Sigh (Ballabhgarh) section will be extremely crucial from the point of view of connectivity for the city of Ballabhgarh, Faridabad, South-East Delhi and Central Delhi areas. “Ballabhgarh is an upcoming urban settlement which is an industrial city. Large numbers of people travel everyday for their professional requirements from Ballabhgarh to Delhi and vice-versa,” the DMRC added. 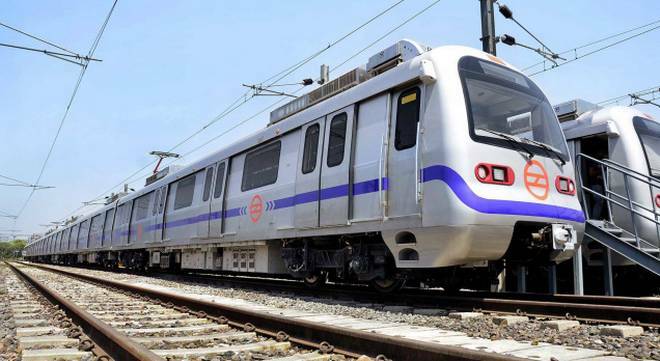 It has been stated in the statement issued by DMRC that it will be connected to Delhi for the fourth time by running the Metro till Ballabhgarh. So far, Metro used to take passengers from Gururgram, Faridabad and Bahadurgarh. Balbaghadhar, coming from Haryana on Monday, will also be connected to the metro. After the inauguration of this Metro Corridor, the section from Kashmiri Gate to Raja Nahar Singh Metro Station will be up to 46.6 kilometers.